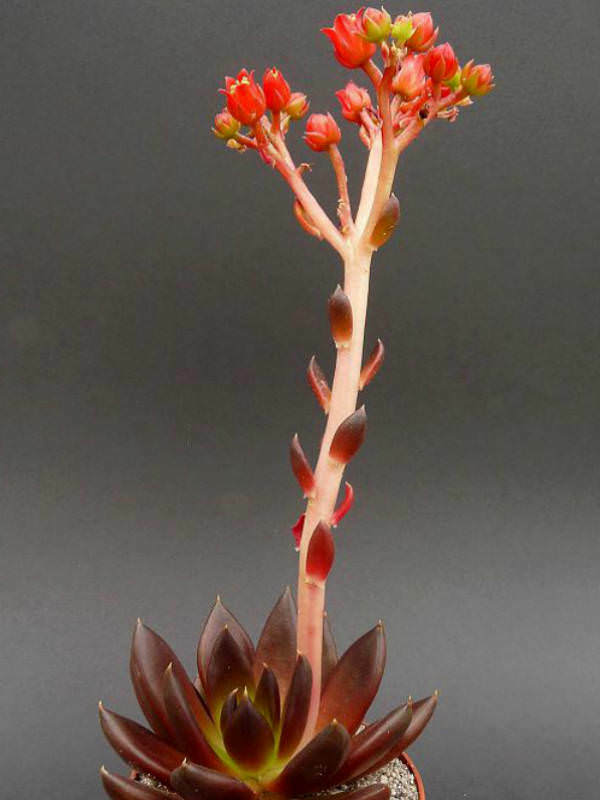 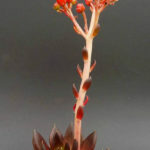 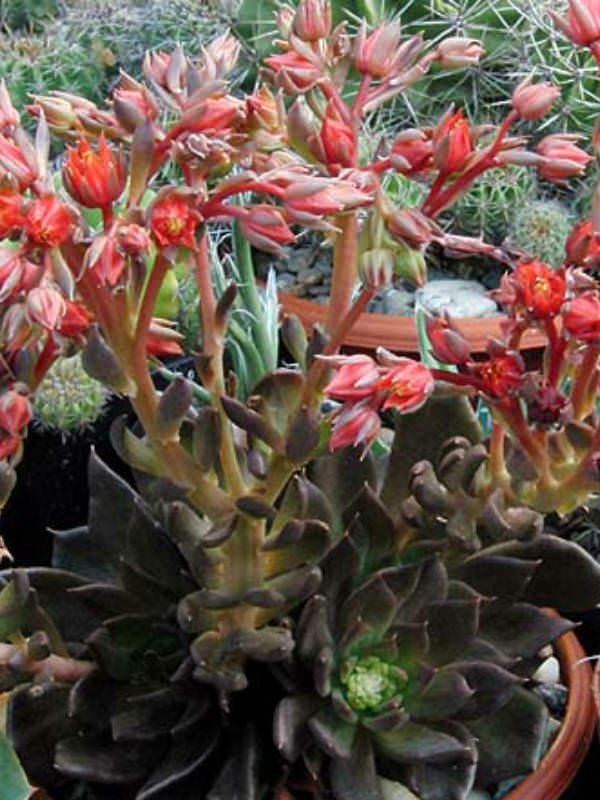 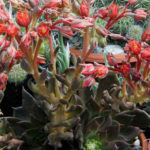 Echeveria affinis is evergreen, low-growing, perennial succulent, up to 8 inches (20 cm) tall and wide. 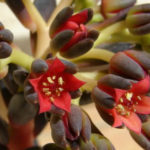 The leaves are fleshy, olive-brownish, up to 2 inches (5 cm) long and up to 0.8 inch (2 cm) wide, formed on rosettes. 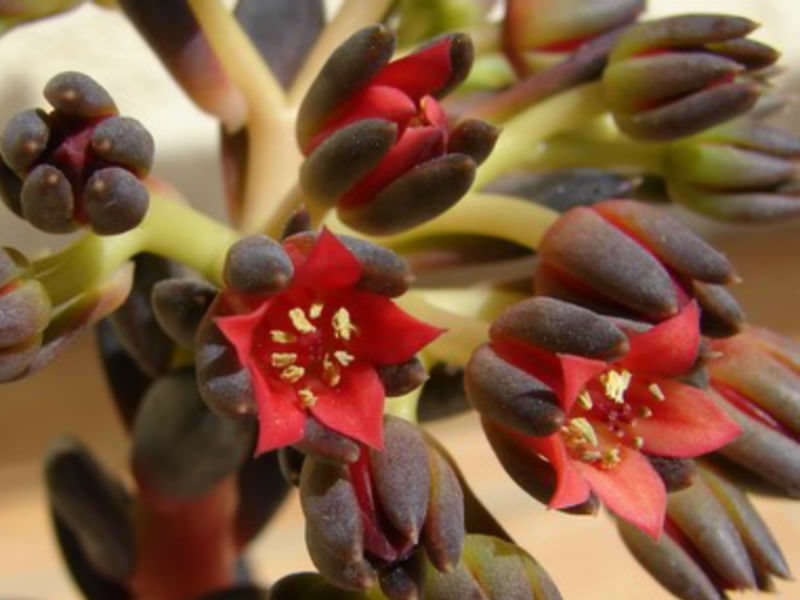 The red star-shaped flowers sprout on a stem during the summer. 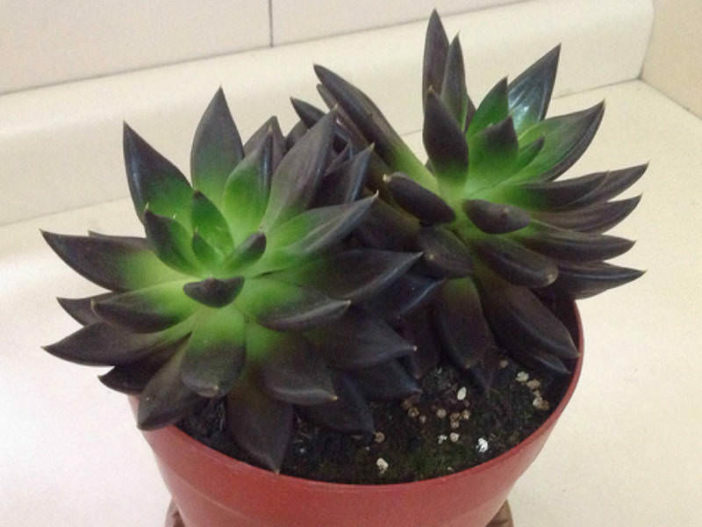 Native to Mexico (Durango, Sinaloa).